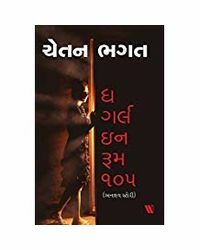 Get a Gift Voucher worth Rs 100 with this book T&C Apply: The Gift voucher will be sent to your mobile phone and will be valid till 30th November 2018. 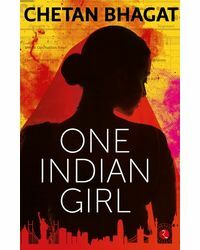 From the author of Five Point Someone and 2 States, comes a fast-paced, funny and unputdownable thriller about obsessive love and finding purpose in life against the backdrop of contemporary India. 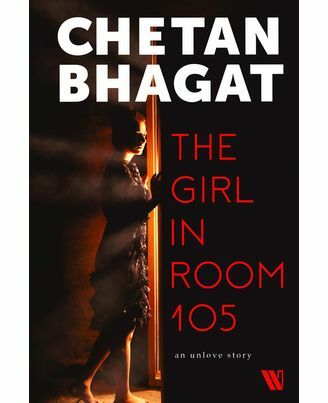 Chetan Bhagat is the author of nine blockbuster books. These include seven novels—Five Point Someone (2004), One Night @ the Call Center (2005), The 3 Mistakes of My Life (2008), 2 States (2009), Revolution 2020 (2011), Half Girlfriend(2014) and One Indian Girl (2016)—and the non-fiction titles What Young India Wants (2012) and Making India Awesome (2015). Chetan’s books have remained bestsellers since their release. Several of his novels have been adapted into successful Bollywood films. The New York Times called him the ‘the biggest-selling English language novelist in India’s history’. Time magazine named him amongst the ‘100 most influential people in the world’, and Fast Company, USA, listed him as one of the world’s ‘100 most creative people in business’. Hi, I’m Keshav, and my life is screwed. I hate my job and my girlfriend left me. Ah, the beautiful Zara. Zara is from Kashmir. She is a Muslim. And did I tell you my family is a bit, well, traditional? Anyway, leave that. Zara and I broke up four years ago. She moved on in life. I didn’t. I drank every night to forget her. I called, messaged, and stalked her on social media. She just ignored me. However, that night, on the eve of her birthday, Zara messaged me. She called me over, like old times, to her hostel room 105. I shouldn’t have gone, but I did… and my life changed forever. This is not a love story. It is an unlove story. 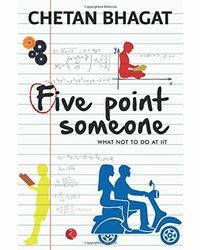 From the author of Five Point Someone and 2 States, comes a fast-paced, funny and unputdownable thriller about obsessive love and finding purpose in life against the backdrop of contemporary India.About the Author : Chetan Bhagat is the author of nine blockbuster books. These include seven novels—Five Point Someone (2004), One Night @ the Call Center (2005), The 3 Mistakes of My Life (2008), 2 States (2009), Revolution 2020 (2011), Half Girlfriend(2014) and One Indian Girl (2016)—and the non-fiction titles What Young India Wants (2012) and Making India Awesome (2015). Chetan’s books have remained bestsellers since their release. Several of his novels have been adapted into successful Bollywood films. The New York Times called him the ‘the biggest-selling English language novelist in India’s history’. Time magazine named him amongst the ‘100 most influential people in the world’, and Fast Company, USA, listed him as one of the world’s ‘100 most creative people in business’. Chetan writes columns for leading English and Hindi newspapers, focusing on youth and national development issues. He is also a motivational speaker and screenplay writer. Chetan quit his international investment banking career in 2009 to devote his entire time to writing and make change happen in the country. He lives in Mumbai with his wife, Anusha, an ex-classmate from IIM-A, and his twin boys, Shyam and Ishaan.